Have you had time to look at implementing Inmotion yet? Would love to have this functionality on my watch. I'm looking at it, but the weather is so nice, it's hard to sit in front of a computer for very long at the moment. Just stumbled on this thread. I have a KS18XL otw and I have a Fossil Sport I currently use. The app is now stuck at "scanning" for me. The app worked last week but for some reason no longer connects to my wheel. When the app was working last week, the sizing of the UI was off causing some text to be cut off from the corner. Keep up the good work @Zanoni! This app has a lot of promise. The low power mode is awesome! Just installed on my Huawei watch 2 (lte), must do reset for watch, because it shows mph, due selected locale. Hopefully time format changes also after reset. There seams to be some resolution / scaling problem with my watch? I did reset watch and selected Finland (it was UK before), that not change mph to kmh. Does it depend what language is set in phone?, it is set also English (UK), not looking to use my phone at Finnish (translations are piece of ...), can try tomorrow when back to home. Cool, it's nice to get some feedback. I'll double check on how the locale settings work. Seems like it could be based on the phone settings. Strangely enough, I use an iPhone with my Wear OS watch, so I don't really know if it's the same for me. Regarding the scaling. I've been out riding a lot more lately, and it occurs to me that some of that stuff is really hard to see, and I can imagine much harder on smaller watches. I'll keep the app free. Maybe I'll put up a link to buy me a coffee That way I won't feel guilty for totally slacking off for a week. In Sweden by law every EUC rider need to have an audio signalling device (not specified what). The built in horn/beeper in the Kingsong wheel would do fine. 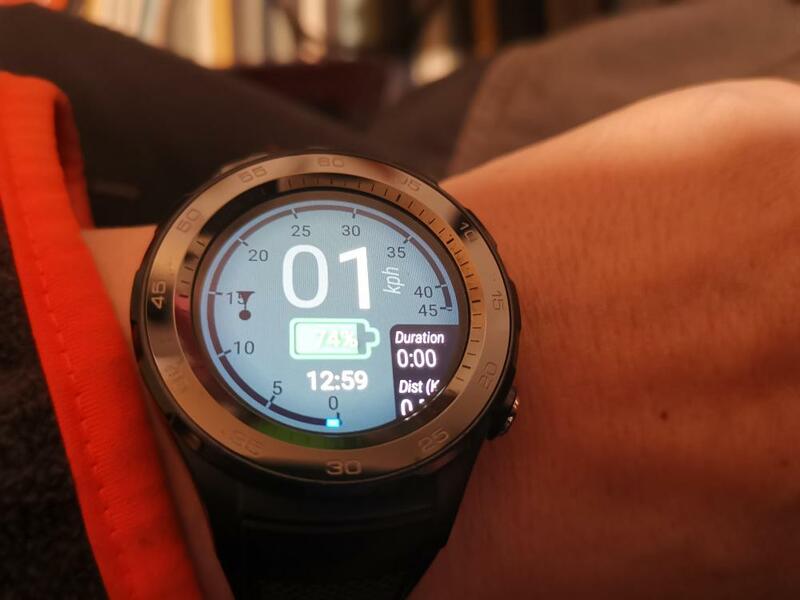 However, that would require some kind of button on the screen of the watch or using any existing button on the watch where you can press and get a beep from the wheel. Will that be part of the feature of this app? Yes, if you click the left side of the screen it activates the EUC's horn. I will say, however, that I find the KS horn a bit too harsh for use on walking paths. If we could customize that sound it would be great. App works excellent on my C2 with a KS16S. @Zanonithanks for all efforts and work ! Finally my Huawei Watch 2 has landed in my mailbox. Notice also as my KS18L is password protected, battery status seems not to show (always 100%). Speed is in Mph instead of Kms, so maybe there is a way to overwrite the default locales ? Played with phone locales and now my phone is in Finnish and therefore got kmh and 24h time to this app. But scaling is way out still. Would looove Ninebot (s2) support... If I can be of any service - please do not hesitate to contact me! I'm glad it kind of worked for you. I'll need a bluetooth pin input screen for the password protected wheels at some point. Luckily my V5F will also require this, so, once I get support for other wheels, there should be some way to do that. Sorry about the locale stuff. Unfortunately there's nothing you can do right now about the scaling. I tested on several emulator sizes/densities, but it looks like I need to check a few more. I'll play around and see if I can get the scaling to work better for your particular setup. Thanks! I may reach out to you in the future. For now, I will probably be making a few tweaks to the UI, and then concentrate back on getting more wheel support. If at some point multi-wheel starts looking good, I would like to put more work into the UI for sure! Then, once I have something new to test you should automatically get it. (may need to manually update from the watch). Anyway, let's try this technique. I don't have anything to try yet, but I'll let you know when. Just want to ask for Solowheel Glide 3/Inmotion V8 support. 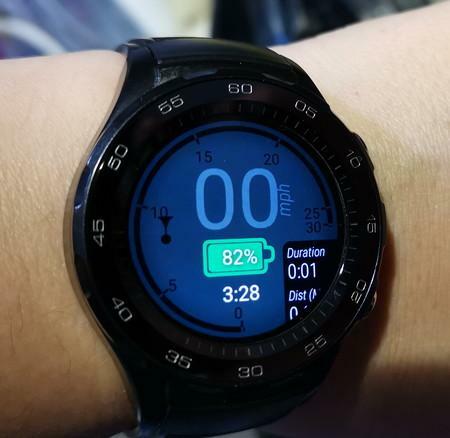 I can use my Ticwatch Pro speedometer for speed, but need to be able to see battery, temperature, current on a screen (they all wouldn't fit on your main screen, which looks great by the way).